Check out more of our Instagram feed! If that symbol is present then its time to get cookin’! I’ve been experimenting with pasta lately and wanted to share my thoughts on 3 brands: Bionaturae Organic, Tinkyada and Ancient Harvest. 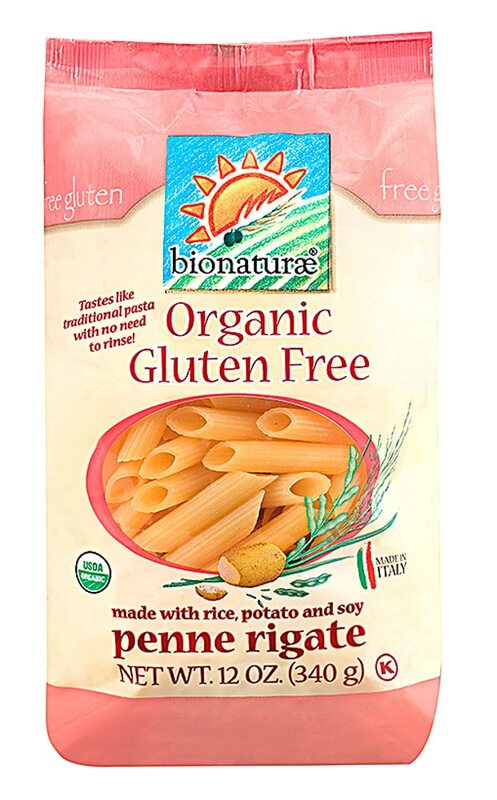 Bionaturae Organic pasta is made from 100% organic rice, potato and soy. It is free of GMO, corn and wheat. This is great for people with celiac who must also avoid corn products. It was the first brand I tried, so I was over the moon to be eating any pasta at all! My family ate it with me so I could get a fair judgement. They were pleasantly surprised! If you’re used to eating white flour pasta, this is an easy transition to make. I had been eating hearty whole wheat pasta for years, so this still felt mushy to me. I’d sayd it is definitely a good purchase, but not my all time favorite. 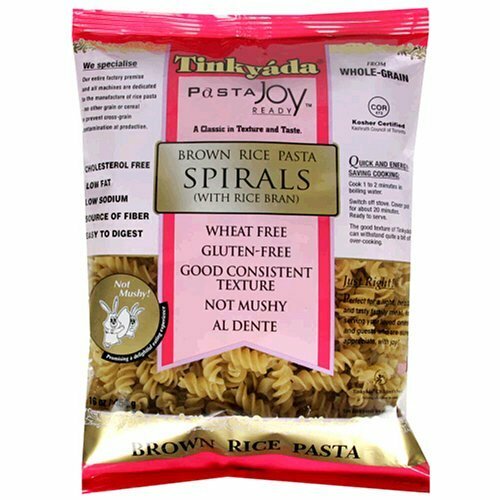 Tinkyada is a certified Organic and Kosher rice pasta. They boast all over their packaging about how wonderful the flavor is, how great the al-dente consistency is and how easy it is to cook. You just add the pasta to a pot of boiling water, keep at full boil for 1-2 minutes, then turn off the heat and let sit for 20 minutes. Don’t be afraid of overcooking! the package says, it’s nearly impossible! Well, I only boiled mine for 1 minute and let it sit for 17 and it was the stickiest, mushiest thing I’ve ever eaten. A Wheat-Eater friend of mine tested it out with me and was very optimistic, noting that it had a pretty ok flavor. Maybe its my fault for eating so much wheat pasta in the past, but if this were the only pasta I could ever eat, I’d rather just stick with wild rice! Ancient Harvest is a USDA Organic Quinoa-Corn blend pasta. When quinoa is lightly roasted its infused with a rich, almost nutty flavor. Mixing that with the hearty texture of corn makes this the best GF pasta I’ve had by far. Its even better than regular pasta because it walks the texture line between white and whole wheat. It cooks with just 8-9 minutes of uncovered boiling and, though the box instructs you to be wary of overcooking, I’ve experienced none of the mushy qualities I found in rice pasta. Bonus: They make additional varieties of vegetable infused pastas that look beautiful when served! Of course, this is my humble opinion. You can visit CeliacDisease.com’s Best Gluten Free Pastas of 2012 for their thoughts on the matter. Or better yet, tell me about YOUR favorites! This entry was posted in Cooking, Gluten Free, Ingredients, Labeling, Reviews and tagged cooking, gluten-free, pasta, Product reviews on February 5, 2013 by glutenfreepdx. Quinoa is by far my fav GF pasta! I never can cook rice base pasta’s well. 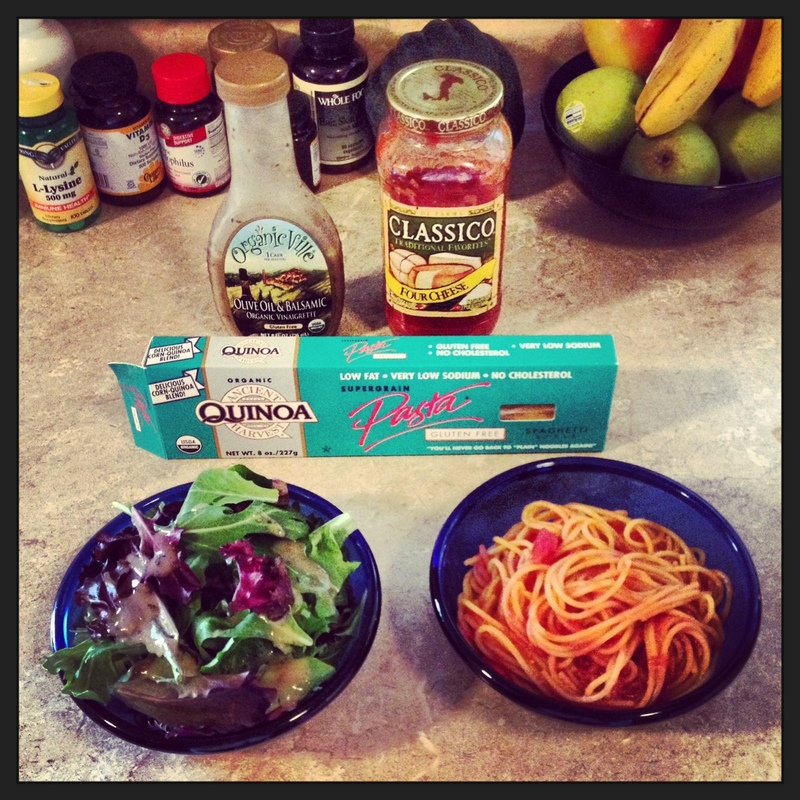 I agree- I like quinoa better then regular pasta! Ancient Harvest Pasta and Classico sauce are the best. Thanks for the review!